Seguin Island is located near one of the first places in North America to be settled by Europeans. In 1607, thirteen years before the Mayflower arrived at Plymouth Rock, the ships Gift of God and Mary and John, commanded by Captain George Popham and Captain Raleigh Gilbert and carrying over one hundred people, arrived in rough waters and set up a colony at what is today known as Popham Beach, the nearest point on the mainland to Seguin Island. Hardships and disaster forced the settlers to abandon the colony after just one year and sail back to England. 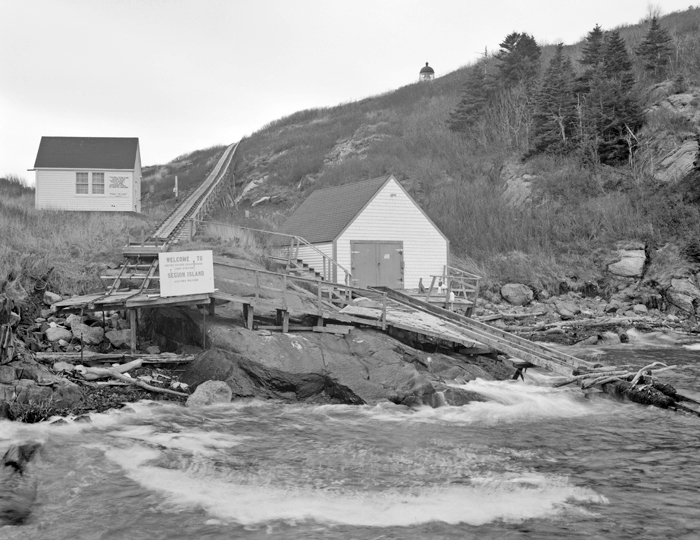 The name Seguin comes from an old Native American word sutquin, meaning “the place where the sea vomits.” The sea can be exceptionally rough here, especially when a fast tide coming down the Kennebec River meets an opposing strong wind coming off the ocean. Fog often blankets the meeting of these two waters, making Seguin Island and the surrounding rocks and islets especially dangerous to mariners. 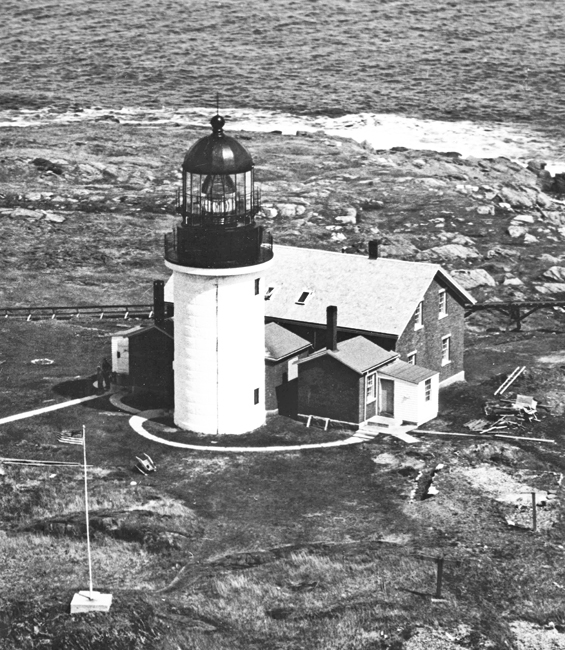 Seguin Island is situated roughly two-and-a-half miles off the mouth of Kennebec River, and it was thought that a light there could serve both as a coastal beacon and as an entrance light to this important waterway. It is thus not surprising that Seguin Island Lighthouse is one of the oldest on the Atlantic coast, having been authorized by President George Washington. 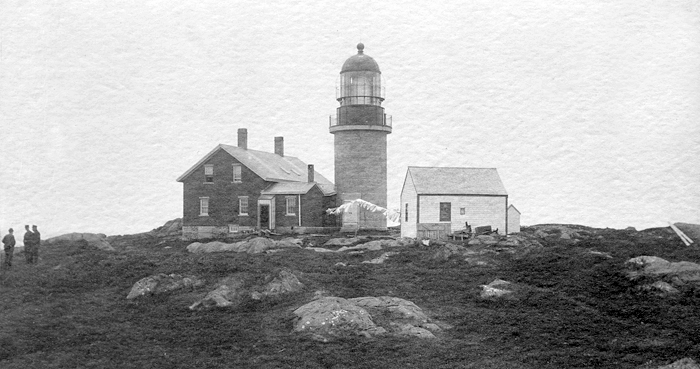 The lighthouse was the second one to be built in what is now the state of Maine, after Portland Head Lighthouse. Massachusetts ceded land for the lighthouse in early February 1794, and later that year, Congress passed an act providing for its erection. The plans for Seguin’s first tower called for an octagonal wooden tower with “a costly and firm stone foundation, if necessary, a stone cellar to the house, [and] a capacious and secure oil vault.” Some modifications to the original instructions had to be made – for instance, a deep foundation was impractical in the hard rock at the building site. General Henry Dearborn, the only person to submit a bid for building the lighthouse, finished the station in October 1796, and Major John Polerecsky was hired as the first keeper. Keeper Polereczky, a veteran of the Revolutionary War, was appointed months before the station was ready so he could make preparations for farming and gardening on the island, although he would not begin receiving his salary until the light started shining. The Delano family had evidently traded thirty-six dozen acceptable lamp wicks, intended for use in the fifteen lamps used in the tower, for tin ware being sold by Lewis Demot. John Salter replaced Keeper Delano on March 2, 1825. Due to their meager salaries, keepers were forced to be frugal and creative, but dishonorable acts were not tolerated. Thomas Day, keeper at Seguin Island in 1880, wrote to the inspector over a rumor he had heard. 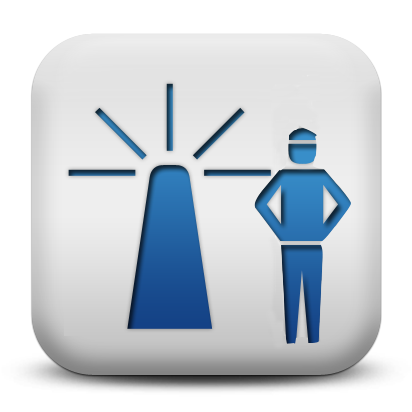 “I understand that the Keeper of Boon Island Light is removed for not paying money for Republican Campaign expenses. Will you be kind enough to inform me of the fact, as myself and two asst. have been asked for $79 for campaign expenses.” The inspector was “of the opinion that these poor people ought not to be expected to contribute so largely from their meager pay." Regrettably, politics did often play heavily in the appointment of keepers. The first wooden tower quickly deteriorated and had to be replaced in 1819. Congress allocated $2,500 to build a new, twenty-one-foot-tall stone tower as a replacement along with a new stone dwelling. 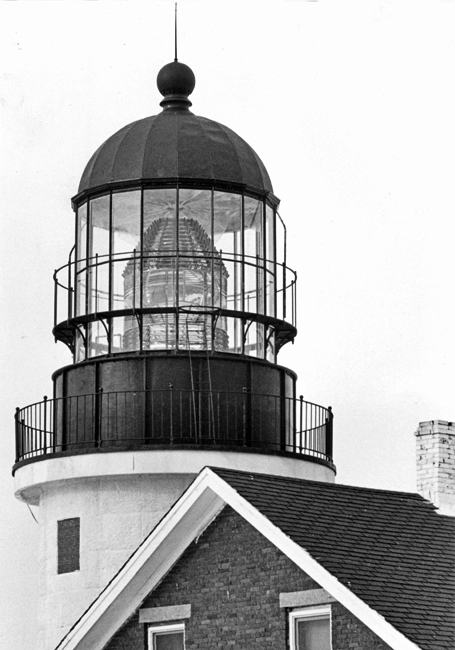 Fourteen lamps, set in reflectors, were used in the lantern room to produce a fixed white light that had a focal plane of over 160 feet above the surrounding water. 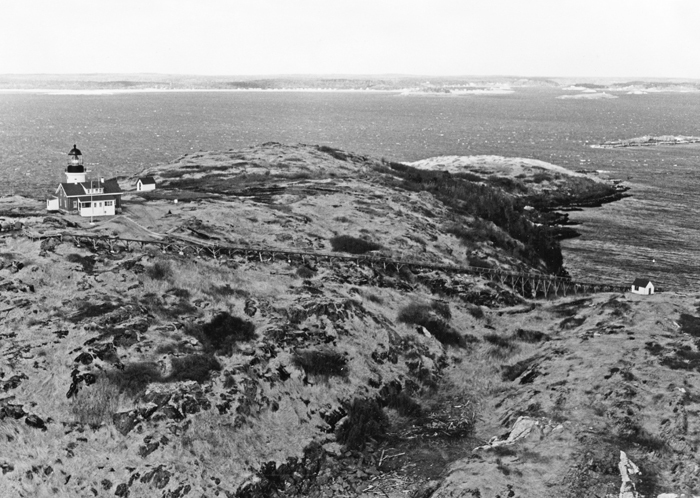 A bell house and a fog bell weighing 3,693 pounds were added to the island in 1837 as an additional aid to mariners. The keeper had to toll the bell manually using a rope attached to the bell’s tongue. I was appointed keeper of this light in 1839 upon a salary of $400 and $100 additional per annum for tending the fog bell. The tower is built of stone rubble masonry, is very leaky, owing to the open state of the joints and the want of good mortar or cement. The wood work thereof is rotten in several places. The lantern leaks, so that there is an inch depth of water on the deck during and after rain storms. It is also very rickety, and shakes so much as to crack the glass in the sashes. It sweats very badly with a northerly wind. There is no door in it, to get outside for the purpose of cleaning or resetting the glass; but I am obliged to go up outside by means of a ladder, which in blowy weather is very dangerous; the ladder has become rotten. I consider the entire light-house to be very much out of repair. The dwelling-house leaks badly at the eastern end, about the eaves, windows, and lintels; the walls require pointing, being open to the weather in several places. One of the chimneys has twice been blown down, smashing in the roof, and doing great injury thereto. There are no outside shutters to the windows, either of the house or tower, which the great height of this island and exposed situation render necessary in storms. The cellar is wet and damp, not having any floor or pavement. There is not rain-water cistern on the premises, and the well is dry two months during summer, and I have brought water for domestic use from the main land. The fog bell here is placed under a shed, and rung only by manual labor. I consider it very badly planned, as now placed, because the manner in which the bell is hung prevents its being swung sufficiently to obtain the full sound. Vessels can seldom hear it above the sound of the surf in ordinary weather, and if blowing fresh, cannot hear it at all. I think it could be made useful, if properly hung. This island is supposed to contain 100 acres; I have a small garden, and cut on an average six tons of hay. I paid Captain Salter, the late keeper, $540 for the buildings and betterments made by him while in charge of this establishment, during the fifteen years preceding. My family consists of seven persons. There is the old dwelling-house, erected forty years since, when the light was first established – a frame building, which, if well repaired, would, in my estimation be a better house than the one I now occupy. 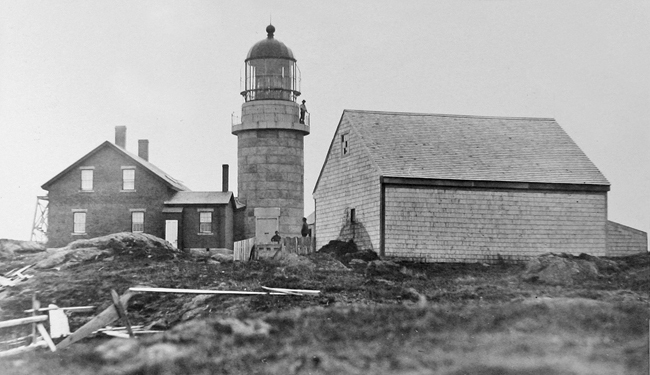 The Lighthouse Board realized a new tower and light were needed on Seguin Island in 1852, and as a stop-gap measure, a “new and improved reflecting apparatus” was installed atop the tower. 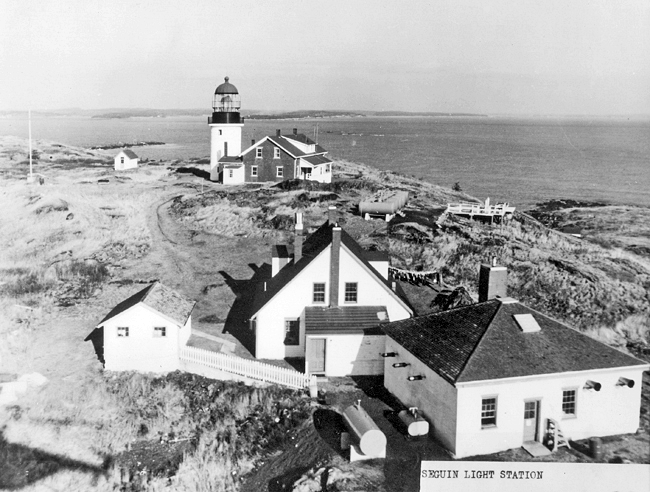 In 1856, Congress appropriated $35,000 “for rebuilding the light house tower and keeper’s dwelling and for supplying and fitting first order illumination apparatus.” These improvements were finished in 1857 and remain on the island today. The cylindrical tower was built of cut granite blocks, and the one-and-a-half-story keeper’s duplex was built with bricks. 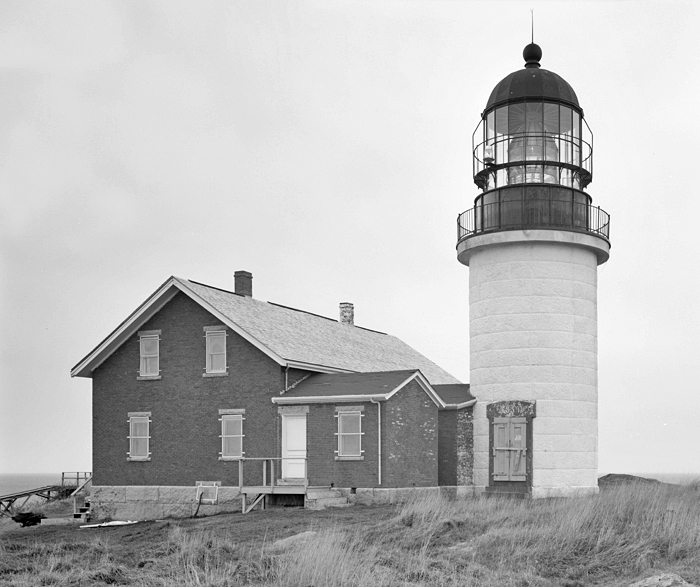 The light on Seguin Island, produced by a Henry-Lepaute first-order Fresnel lens, shines 186 feet above the water, making it the highest focal plane in Maine. Seguin Island is one of the foggiest places in the country – one year, the fog signal blew for almost one-third of the entire year, a total of 2,734 hours! The Annual Report of the Lighthouse Board for 1873 notes that a ten-inch steam-whistle fog signal had been established at the station, giving eight-second blasts every minute. Three years later, the annual report recorded that a frame building had been built to provide housing for an assistant keeper and to shelter a backup fog signal. Finally, the report for 1889 noted that a stout, 32-foot-square brick fog signal building, the one that stands today, was constructed and outfitted with duplicate sets of machinery. This allowed for the assistant keeper to take over the room in his dwelling formerly occupied by the fog signal. A well was dug to provide water for the fog signal and rainwater was captured as well, but the station’s water supply still ran dry during the summer of 1890, forcing the keepers to use corrosive sea water in the boilers for several weeks. To prevent this from happening again, a rain-shed, forty-five by fifty-feet in plan, was quickly built atop a reservoir to provide additional water for the station. The illuminant for the light was changed from lard oil to mineral oil in 1884, and a brick oil house was built in 1891 to store this more volatile fuel. Herbert Spinney served as a keeper on Seguin Island from 1893 until 1907, starting as second assistant and making his way up to head keeper in 1903. During the migration season, birds would sometimes gather around the lantern room on dark, overcast nights until they “were as thick as snowflakes.” The bewildered birds would often dash themselves against the lantern room and fall dead at the foot of the tower. One morning, Keeper Spinney reportedly counted 500 birds that had perished during the night. Spinney took an interest in the birds, rescuing as many as possible, and soon became one of the leading ornithologists in the state. His collection of 205 species of stuffed birds was one of the best private collections around, and some of his specimens were displayed at the state house in Augusta. After giving up lightkeeping and moving to Bath, Spinney served as vice president and then president of the Maine Ornithological Society and worked as a member of the gypsy moth commission, as a game warden, and as a painter at the local ironworks. In 1923, Spinney donated his collection, which besides birds also contained a skate’s egg and around “fifty varieties of sea weeds,” to the Portland Museum of Natural History. The Lighthouse Board’s report of 1895 noted: “A railroad was built connecting the boathouse at the landing with the signal house. A car was provided and a hoisting engine was set up for hauling up coal and supplies.” Prior to the installation of the tramway, oxen were used to haul the oil and supplies to the top of the island. Years later, Joyce Irvine, wife of coastguardsman Daniel Irvine, rode the car up the hill with the couple’s eighteen-month-old daughter Millie and two-month-old son Daniel, Jr. after returning to the island from a short vacation in September 1949. 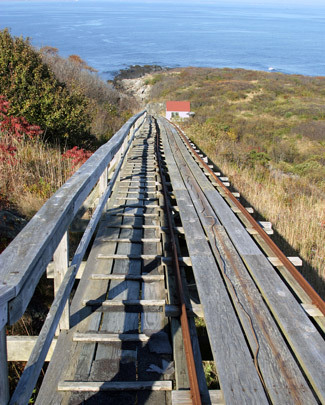 When the hoisting mechanism failed near the top of the hill, Keeper Daniel was able to grab his son from the car and instructed his wife to toss the older child and jump from the car, but before she could do so, the car broke loose and rocketed down the steep, 750-foot-long track. 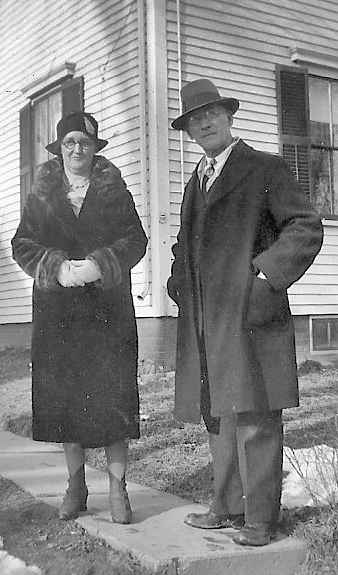 Joyce was able to toss Millie to safety on a patch of grass between two ledges, but she ended up breaking her femur and being badly cut and bruised after being thrown from the “careening car” at the bottom of the hill. Henry Leonard, commander of the nearby Kennebec River Lifeboat Station, said he didn’t “know how she got out of it alive,” but credited her survival with the car slowing down after it jumped the tracks which lessened the impact when it crashed into the landing platform. A small dog that was also in the car wasn’t as lucky, as it was found dead, with its head crushed, after the wild ride. Joyce was taken ashore and treated at the hospital in Bath. Needless to say, this accident put an end to passengers riding in the car. The Coast Guard Morale Fund furnished us with the following: two daily newspapers, several magazines, baseballs and gloves, radios, and a beautiful new record player. The ladies of the light all enjoy the “3-C’s” of everyday living almost everywhere – cooking, crocheting, and cards. In summer, we enjoy flower gardens, and picnics at the shore. However, in winter, we just toast our tootsies by the fire. New oil and gas combination ranges had been added to the quarters in 1952, and kerosene refrigerators were used to preserve food. Electricity finally reached the island in 1955. 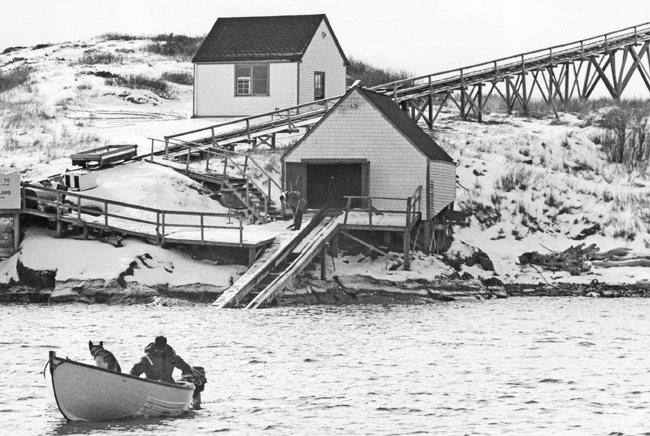 After the station was automated in 1985, local citizens formed Friends of Seguin Island to ensure the preservation and upkeep of the lighthouse. 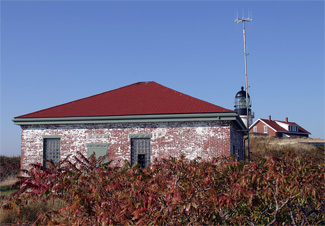 In 1989, the Coast Guard leased the station to the group, and in 1998 the group received full ownership of the station through the Maine Lights Program. Each summer, the Friends hire caretakers to live at Seguin Island Lighthouse, greet visitors, operate the museum, maintain the grounds, and do necessary repairs and upkeep. Beverly Ramsey and her husband served as summer caretakers in 2012. This wasn’t Beverly’s first time on the island, but she didn’t have memories of the two years she spent on the island as a baby when her father, Walter Stephens, was stationed there in 1959 – 1960. Beverly’s father passed away in the fall of 2011, but that didn’t spoil her time on the island, as she felt his presence there and wondered if he had painted the same walls she did or worked in the same plot of land she gardened. A leather chair in which Beverly had her picture taken as a baby was still on the island fifty years later. Beverly had often heard her parents tell stories about their time on Seguin Island, which they cherished as among the happiest years of their lives, and now she has her own island memories to share. 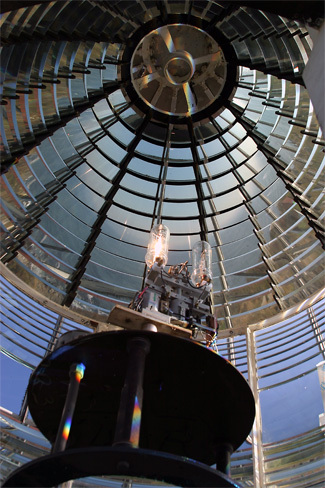 In 1998, the Coast Guard announced plans to replace the station’s 1857 first-order Fresnel lens with a modern plastic solar-powered optic, claiming that the 17,000-foot underwater cable needed to power the lens had become too expensive to maintain. After the Friends of Seguin Island asked that the historic lens remain in operation, the Coast Guard offered an alternative where the Fresnel would be turned off but remain in its place, with the new plastic lens mounted nearby. A petition drive was mounted and over 7,200 signatures collected demanding the Fresnel lens be kept operational. 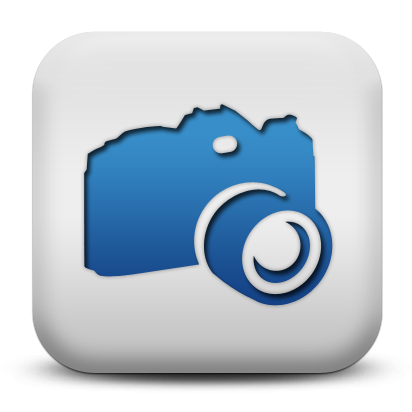 In March 2000, Senator Olympia Snowe of Maine announced that the Coast Guard had agreed to leave the lens in operation. Its fixed white light is the only remaining first-order lens operating north of Rhode Island. 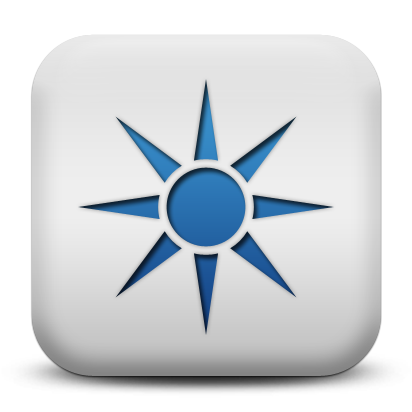 During the summer of 2006, Lamp Shop, Inc., run by Joe Cocking, a retired Coast Guard chief warrant officer, repaired, cleaned, and polished the lens. The lighthouse is listed on the National Register of Historic Places, and the tower and attached museum in the keeper’s duplex are open to the public. Head: John Polereczky (1796 – 1804), Jonathan Delano (1804 – 1825), John Salter (1825 – 1839), Nathaniel S. Todd (1839 – at least 1843), Moses M. Haskell (1844 – at least 1847), James Marson (1849 – 1853), A.E. Osgood (1853 – 1857), Stephen Marson, Jr. (1857), John C. Lowell (1857 – 1858), Granville Lowell (1859 – 1861), Zina H. Spinney (1861 – 1866), Francis L. Morrill (1866 – 1868), Lemuel G. Crane (1868 – 1875), Thomas Day (1875 – 1886), Henry Day (1886 – 1890), Merritt P. Pinkham (1890 – 1898), George A. Lewis (1898 – 1903), Herbert L. Spinney (1903 – 1907), George A. Lewis (1907 – 1911), Henry M. Cuskley (1912 – 1915), Maurice M. Weaver (1915 – 1922), Napoleon B. Fickett (1922 – 1926), Elson L. Small (1926 – 1930), Frank E. Bracey (1930 – 1931), Millard H. Urquhart (1931 – 1939), Alton S. Chaney (1939 – 1944), Clarence Skofield (1944 – 1946), Alonzo Morong (1946 – 1948), Harvey C. Lamson (1948), Irving T. Sparrow (1948 –1949), Edgar M. Wallace (1949 – 1950), Harvey C. Lamson (1951), Harry L. Cressey (1951 – 1954), Mac McKinley (1955), Farrington (1957), Walter F. Stephens (1959 – 1960), Ronald D. Howard (1960 – 1961), James R. Wilson (1961 – 1963), William B. O’Neill (1963 – ), Robert Bly (1964 – 1965), Fred Kahrl (1966 – 1967), Henry Lipian (1976 – 1977), Edward T. Brown (1983 – 1985). First Assistant: Christopher Pushard (1796 – 1804), Boyd L. Miles (1855), Joseph King (1855 – 1857), William O. Lowell (1857 – 1861), Palmer O. Spinney (1861 – 1865), William S. Oliver (1865 – 1866), William C. Marr (1866), Henry E. Morrell (1866 – 1867), Jane Morrill (1867 – 1868), Joseph B. Crane (1868 – 1874), Elisha H. Crane (1874 – 1875), Willis E. Chase (1875 – 1876), Thomas H. Bibber (1876 – 1880), Henry Day (1880 – 1886), Jacob T. Abbott (1886 – 1887), Edwin M. Wyman (1887 – 1889), William H.H. 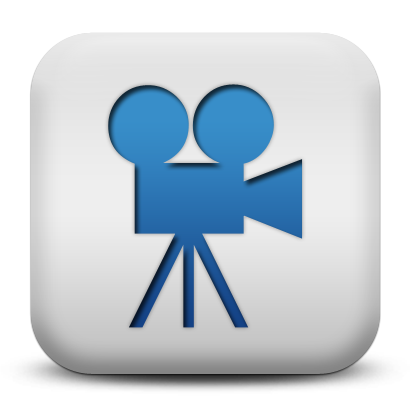 Wyman (1889), Jesse Pierce (1889 – 1890), Merritt B. Pinkham (1890), Jacob W. Haley (1890 – 1898), Herbert L. Spinney (1898 – 1903), William A. Stetson (1903 – 1908), Walter S. Adams (1908 – 1909), William H.C. Dodge (1909 – 1912), Clifford B. 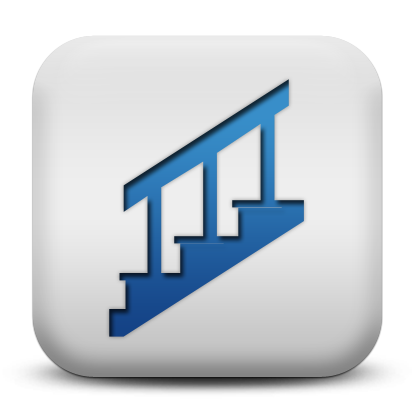 Staples (1912 – at least 1913), Maurice M. Weaver ( – 1915), Harry L. Nye (1915 – 1921), Vinal O. Beal (1921 – 1924), Frank E. Bracey (1926 – 1930), Millard H. Urquhart (1930 – 1931), Joseph M. Connors (1931 – 1936), Clarence Skofield (1936 – 1944), Archie McLaughlin (1944 – 1945), Irving T. Sparrow (at least 1947 – 1948), Floyd Cox (1948), Daniel Irvine (1949 – 1950), Harry L. Cressey (1947 – 1951), Horace Smith (1953), Francis Manzi (1953 – 1954), George F. Barnes (1956), John Johnson (1957), Kenneth J. Dukes (1961 – 1963), George F. Johns (1963), Henry LeBlanc (1963), Elwynne Kenny (1964 – 1965), Robert Grindall (1966), Fred Kahrl (1966), Oreta Bridgeman (1976), Lamar Alexander (1986). Second Assistant: Daniel Dodge (1857), James Marson, Jr. (1857), Daniel Dodge (1857 – 1859), Tallman B. Lowell (1859 – 1860), William A. Knight (1860 – 1861), D. Spinney (1861 – 1865), Rachel Spinney (1865 – 1866), Ephraim S. Marr (1866), Charles S. Morrill (1866 – 1867), Arthur Hutchins (1867 – 1868), O.B. Crane (1868 – 1871), Louisa N. Lane (1871 – 1872), Turner Jewett (1872 – 1874), Ephraim Marr (1874 – 1875), Henry Day (1875 – 1880), Henry Wiley (1880 – 1882), Samuel Cavanor (1882 – 1883), Fernando Wallace (1883 – 1886), Edwin M. Wyman (1886 – 1887), Henry M. Clark (1887), William H.H. 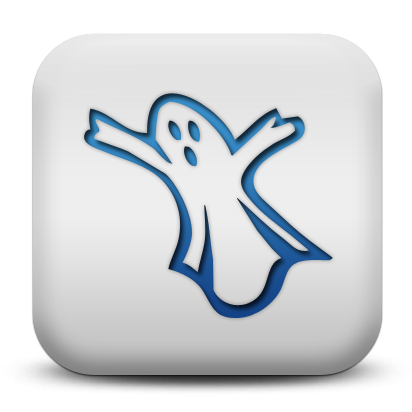 Wyman (1887 – 1889), Jesse Pierce (1889), Merritt B. Pinkham (1889 – 1890), Jacob W. Haley (1890), Parker O. Haley (1890 – 1893), Herbert L. Spinney (1893 – 1898), William A. Stetson (1898 – 1903), Fred H. Hodgkins (1903 – 1907), Walter S. Adams (1907 – 1908), Clifford B. Staples (1908 – 1912), George F. Dodge (1912 – ), Harry L. Nye (1914 – 1915), Robert T. Sterling (at least 1917), Maurice R. Beal (at least 1919 – 1920), Jaruel B. Pinkham (1920 – 1921), Arthur Marston (1921 – 1923), Millard H. Urquhart (1927 – 1930), Joseph M. Connors (1930 – 1931), Donald E. Robbins ( – 1932), Clinton L. Dalzell (1933), Floyd Singer (1933), Truman L. Lathrop (1933 – 1934), Benjamin Stockbridge (1934), Ernest F. Witty (1934 – 1935), George A. McKenney (1935 – 1936), Arthur G. Hill (1936 – 1938), Maxwell A. Deshon (1938 – 1941), Herbert L. Mitchell (1941 – 1943), Irving Dobbins (1944), Robert J. Werner (1944 – 1945), Clyde T. Whitaker (1948 – 1951), Bardsley, David Morrison, Douglas Cameron (1953), Charles Balsdon (at least 1953), Charles A. Hart, Jr. (1955), Marshall Witherel (1956), George F. Johns (1962), Timothy Flaherty (1963). 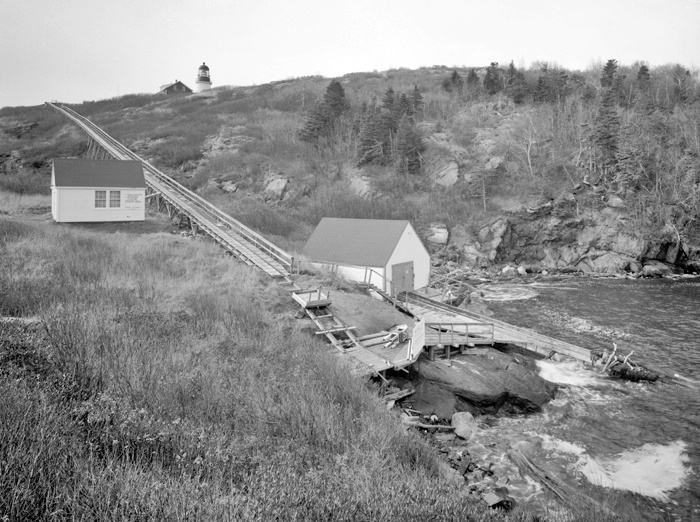 “Memories of Life at Seguin Island Lighthouse,” Lighthouse Digest, January/February 2016. Located roughly two and a half miles south of Popham Beach and the entrance to the Kennebec River. For a larger map of Seguin Island Lighthouse, click the lighthouse in the above map. 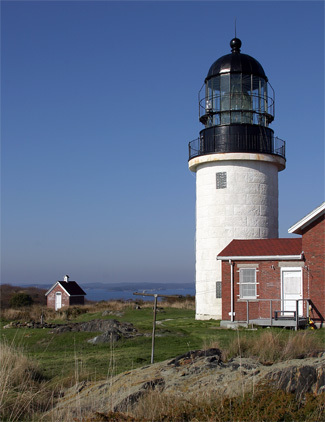 This lighthouse is best seen by visiting the island by boat, although a very distant view is possible from Popham Beach. 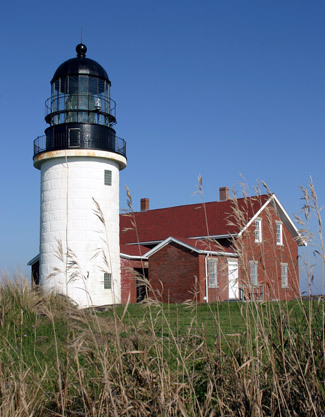 Public cruises that pass the lighthouse are offered by Maine Maritime Museum out of Bath. 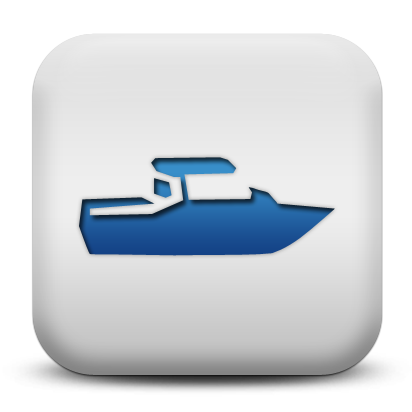 Friends of Seguin Light maintains a list of charter boats that offer excursions to the island. Part of the keeper's dwelling contains a small museum, and visitors are permitted to climb the tower. Resident keepers staff the lighthouse during the summer. 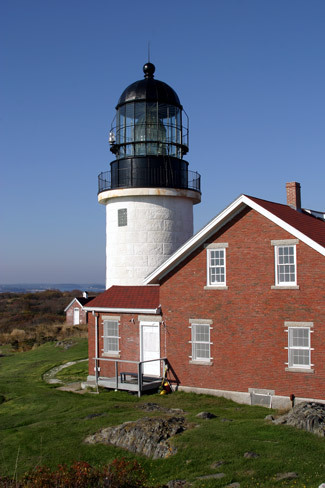 Members of Friends of Seguin Light can stay in the guest quarters at the lighthouse. The lighthouse is owned by Friends of Seguin Island. 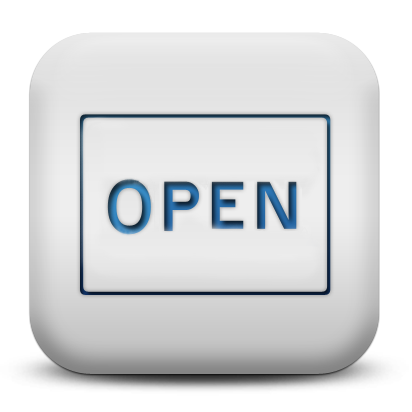 Grounds open, tower/dwelling open from Memorial Day through Labor Day. 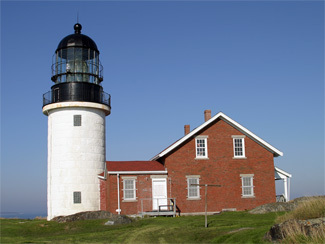 Along with Pond Island Lighthouse, Seguin Island Lighthouse appears in the 1999 movie "Message in a Bottle."